Ah, summertime when the living is easy. School is out. Routine is out the window. And I can pull up a lawn chair, prop up my feet, sip sweet tea and escape to faraway worlds. So many books . . . so little time. . .
Just Because Kraus is that good a writer . . . 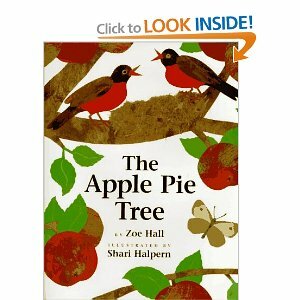 Follow my reviews at http://www.goodreads.com/author/show/5821807.Lisa_Cox_Carter. Today I’d like to welcome Margaret Daley to the Suspense Blog Hop. 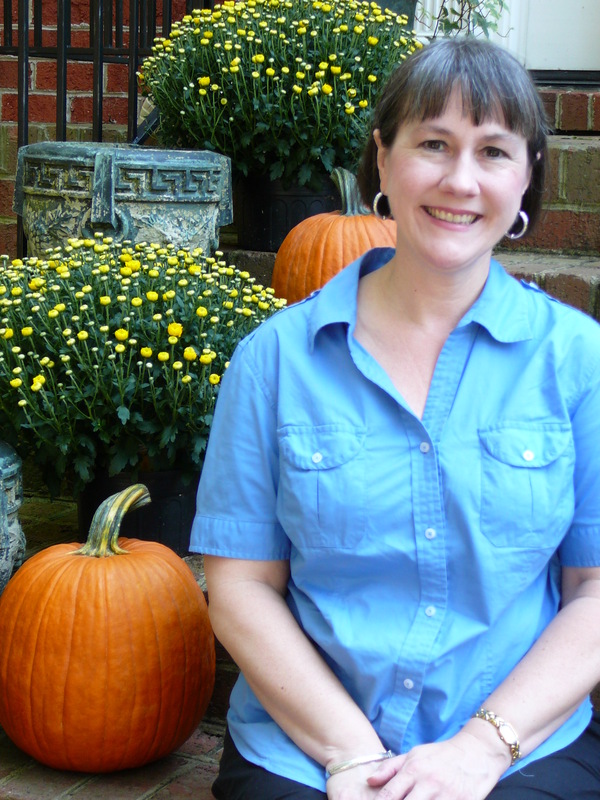 Margaret Daley is a multi-published author of romance and romantic suspense. Past president of American Christian Fiction Writers (ACFW), her eighty-plus books to date have won numerous awards, including the American Christian Fiction Book of the Year for Hearts on the Line, the Golden Quill Contest, Holt Medallion, FHL’s Inspirational Readers’ Choice Contest, Winter Rose Contest, and the Barclay Gold Contest. A retired teacher after twenty-seven years of working with special needs children, Margaret has been married for over forty years and has one son and four granddaughters. She writes inspirational romance and romantic suspense for the Love Inspired lines, romantic suspense for Abingdon Press, and historical romance for Summerside Press. What would surprise readers about Margaret Daley? My first answer was nothing. I’m a pretty open book. But here are a couple of tidbits about me: I was about thirty minutes away from being caught up in a riot in London. I came up out of the tube as the demonstration started. The press of people was scary. I knew something violent would happen. I got out of there so fast, I was a blur. I was glad I did. The next day I saw the damage the rioter did to the streets—cars burned, bricks thrown, trash everywhere. Another is I was a cheerleader in high school. A third one is that my first book I wrote was in first person and I don’t even like to read first person stories. What was I thinking?! Tell us about your latest novel. My current book is Scorned Justice and for three days (May 15-17) the ebook format of it will be on sale at most online bookstores for $3.99. This is the link to the page on Amazon: Scorned Justice. The blurb for Scorned Justice: Texas Ranger Brody Calhoun is with his parents in west Texas when an unexpected attack injures the brother of Rebecca Morgan, Brody’s high school sweetheart. The local sheriff, a good friend, asks for Brody’s help. At first, it seems like an open-and-shut case. trial Rebecca will be overseeing. With Rebecca’s help, he compiles evidence involving cattle rustling, bribery, and dirty payoffs that shatter the entire community and put Rebecca directly in the line of fire. Brody expects to protect her. What he never expects is to fall for Rebecca all over again, or for a murder to throw the case wide open. Is Brody’s faith strong enough to withstand not only deep-rooted corruption and cattle rustling, but also love? What inspired the Men of Texas Rangers series? I have been fascinated with the Texas Rangers. They have a rich history and are the oldest state law enforcement agency. There are 150 rangers to cover the whole state of Texas. They do an amazing job. What is the wackiest—or most fun—thing you’ve ever had to do to research your books? Learning to scuba dive. The second dive I couldn’t get past the forty feet depth because I couldn’t clear my ears, therefore I could do any further down. For the next dive, I took something for my allergies and that made it much better. It was beautiful seeing the fish and coral up close and personal. I’d always snorkel but this was really a different experience. What do you hope readers will take away from the Men of Texas Rangers series? Each book has a different theme. Saving Hope is about human trafficking and about holding on to hope. Shattered Silence is about different kinds of bullying in our society. Scorned Justice is about how destructive revenge is to the person who wants it. And my last book in the series, Severed Trust, is about prescription drug abuse. Describe your typical writing day. I get up and have some quiet time with the Lord, then I answer my emails before I start writing for the day. I will take breaks throughout the day and end up in the evening doing emails and promotional activities. What is your favorite and least favorite part of being a writer? My favorite part of writing is coming up with the story and plotting it. My least favorite part of being a writer is the promotional part. I’m not a saleswoman. What has surprised you the most about being a published novelist? All the waiting on someone else to make a decision. After a 30-year writing career, what do you wish you knew then that you know now? How hard the business of writing really is—physically, emotionally and mentally. Tell us about your current project. I’m working on the sixth book in my Guardians, Inc. Series for Love Inspired Suspense about female bodyguards. In this story, my female bodyguard is working with a male bodyguard to protect a famous couple while on a speaking/book tour. This book will be out in early 2014. Scorned Justice and your Guardians, Inc. series sound fabulous. Thanks, Margaret. For information, see www.margaretdaley.com and www.abingdonpress.com/margaret_daley. Next up on the Suspense Blog Hop—check out Margaret Daley’s interview of Heather James at www.margaretdaley.com/margarets-blog/. Have you ever been through a storm? 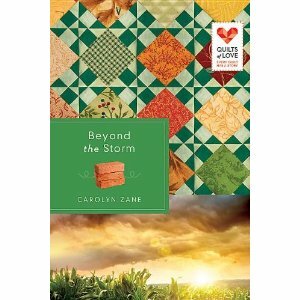 In light of recent events, Carolyn’s Zane’s Beyond the Storm was a perfectly timed read for me. Living in NC, I’ve experienced tornados and hurricanes as a routine part of life. She captured with great sensory detail what it would be like to be caught in an EF5 tornado. The first novel in Abingdon’s Quilts of Love series, Zane’s characters are well-drawn and the setting is realistically depicted. I found myself laughing and crying as the book follows the story of a handful of people when a tornado bears down on their small community. The first portion of the book describes their normal life before the storm. Many of the characters are struggling with internal storms before the natural calamity ever hits. The second part of the book describes each character’s experience during the storm itself. The third portion of the book delineates how the characters survive and adjust in the aftermath of total devastation. The writing is suspenseful as you turn page after page hoping to discover which characters survive. Some do not survive the storm. The survivors have to cope with guilt and anger. One character in particular struggles to reconcile her experiences with the stirrings of her heart toward God. How would you react? What would you do? The book is about so much more than just dealing with loss—whether physical, material or emotional. It’s about forgiveness and triumphing over setbacks; it’s about faith and becoming more than you thought you could ever be; and it’s ultimately about hope and the sufficiency of God. Are you in a storm? What’s bearing down on you today? A natural disaster or a relational earthquake? What’s looming on your horizon—a financial hurricane or a medical tsunami? Where are you in the storm’s path? Do you see a storm coming your way? Are you in eye of the storm? Or are you dealing with the tattered pieces, like the quilt in Beyond the Storm, of the storm’s devastation? How have you coped thus far? Is that working? In the midst of your storm, have you found the peace, strength and comfort Zane depicts in Beyond the Storm? Or are you in a spiritual firestorm right now? I’d love to hear your story. For an inspirational read, I encourage you to seek out Beyond the Storm. Let me know what you think. If you love Downton Abbey . . . If you enjoy watching Downton Abbey, you will love Queen of the Waves. 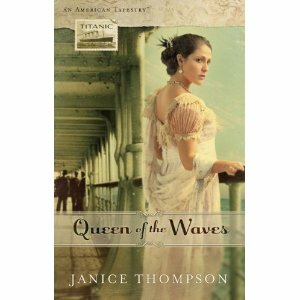 With rich historical detail, Janice Thompson brings the Titanic and its passengers to life once more. You may say, “I know how this story ends.” But under Thompson’s masterful hand, do you? In Thompson’s story version, the reader experiences a vivid recreation of the doomed liner. The lush tapestry of silks and satins and the intricate architectural details from the privileged lives of the first class passengers. The glitter-studded midnight sky and looming monoliths of ice. The freezing water like shards of cold that befell every passenger regardless of class or station that becomes the metaphor for the human condition. Thompson creates a feast for the senses and strong characterizations that will leave you rooting for their ultimate survival. Throughout each passenger’s story runs a thread of hope, redemption and second chance. Thompson paints a bittersweet portrait of a watershed event perched on the precipice of the Great War (the one that was supposed to end all others) like the last rose of a time and innocence that would never bloom again. It’s October and finally beginning to feel like autumn. Autumn is special–my favorite season—and we shouldn’t let it pass us by without a celebration. So I’ve ventured to the Farmer’s Market—one of my favorite autumn activities—and decorated the exterior of my house. Autumn is my excuse for buying mums, pumpkins, chai tea, apples and apple cider. Farmers from the Blue Ridge and Great Smokies come to Raleigh and sell from their mountain orchards a variety of apples, perfect for applesauce or pie. When my girls were small, every autumn we planned a long weekend to a different corner of NC and camped. Okay, my version of camping—renting a cabin with electricity, indoor plumbing and preferably close to a larger lodge to which to walk for all meals. But we had a fireplace, made s’mores and I lugged some of my favorite autumnal children’s books with me to read aloud to them in front of the fire and after the s’mores. 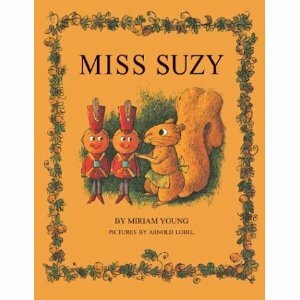 Books like Miss Suzy by Miriam Young from my own childhood; Blueberries for Sal by Robert McCloskey; and We’re Going on a Bear Hunt by Michael Rosen—which we re-enacted all over the cabin. These weekends included hikes to lacy, cascading waterfalls and picking our own bushel of apples from a local orchard. We tried to do something for everyone so for mom that included visits to mountain quilt shops. But with busy, social butterfly teenage girls, my mountain vacation has been reduced for now to a stay-cation involving a stolen afternoon with the girls and a trip to the Farmer’s Market. 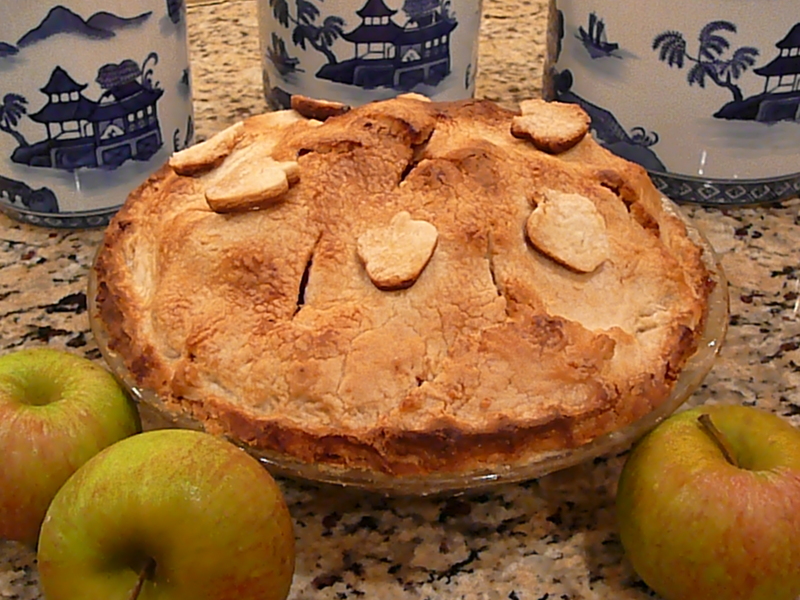 This year, we bought Magna-bonum’s (ranked as one of the ten greatest Southern apples) and here’s the apple pie that resulted. How do you celebrate the arrival of autumn? I’d love for you to share your memories and what traditions you built with your families. 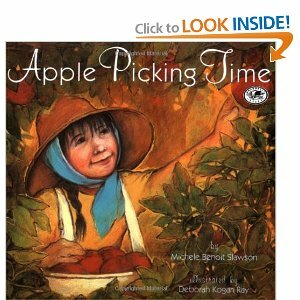 If you’d like a list of my favorite autumnal children’s books to share with your children and grandchildren or to try my Foolproof Piecrust and apple pie recipe, email me at lisa@lisacarterauthor.com. 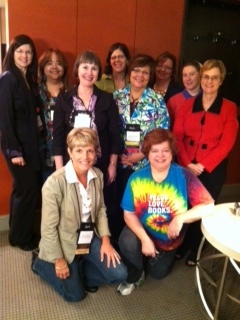 One of the best things about autumn to me is the American Christian Fiction Writers (ACFW) conference every September. I get to hangout with really cool Christian writers. Have you read Janice Hanna Thompson, Carrie Turansky, Ginny Aiken, Margaret Brownley or Lynette Eason? And the worship at ACFW is incredible, too. Thanks, Rachel Hauck and team. I learn so much from the writing craft workshops, featuring instructors such as T. Davis Bunn, Steve Laube, Nancy Kress and Susan May Warren. I also add a great many books to my To-Be-Read pile for the year. I enjoy chats over coffee, lunch and dinner with people I only get to see once or twice a year. 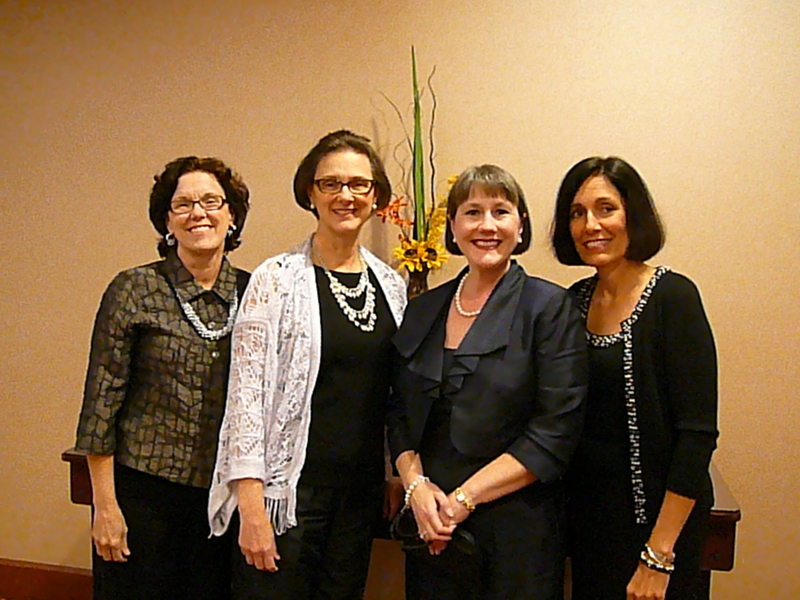 Yeah, I’m talking about you—Betsy Duffy, Laurie Myers, Morgan Doremus, Edie Melson and Deb Raney. A highlight for me this year was the Abingdon Press Author get-together. I feel so privileged to work with Abingdon, my editor Ramona Richards, publicist Jeane Wynn of Wynn-Wynn Media and the fabulous Abingdon writers. The first Quilts of Love book by Carolyn Zane has released. If you love romance, if you enjoy crafts or quilting, pick up a copy. What do you enjoy about autumn? • the Finders Keepers series by Catherine Palmer—I love, love, love Catherine Palmer romances. What about you? Who are your favorite, go-to romance writers? I am looking forward to diving into these contemporary novels by some of my favorite authors. • Rain Song by Alice J. Wisler—and then I plan to work my way through to her latest release, A Wedding Invitation. Who are some of your favorite contemporary, women’s fiction authors? Any good books you’d recommend? Although I have a Master’s in history, I do not read as much historical fiction as I did in my younger years. What about you? Any great historical fiction you’d suggest? Later this week, my picks for women’s fiction. My summer reading picks for one of my favorite genres to read and write—mysteries, especially cozy mysteries. Here are a few from the general market. If these series are new to you, the teacher in me says start with number one and read forward. You’ll be glad you did. Definition of a reader’s bad day? When you catch up to your favorite author’s latest novel and have to wait for the next one to come out. But until then, happy reading. What about you? Any mystery series you’d like to recommend? Later this week, my picks for historical fiction.